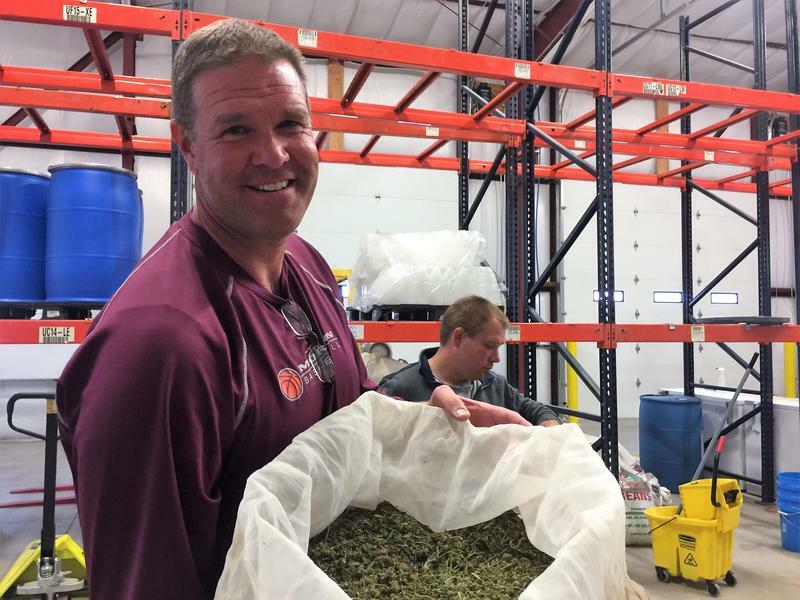 David Schenk runs Speedy Grow Inc. in Grand Junction, Colorado. He'd like to bring the business to Utah. David Schenk lives in northern Utah, but drives five hours to Grand Junction, Colorado every week to run his 5000 square foot hemp oil factory called Speedy Grow Inc. A marijuana smell permeates the building, which sits in an industrial neighborhood in Grand Junction. It’s only hemp, but it still makes Schenk a bit paranoid. Schenk’s business is totally legitimate — at least here in Colorado, where the hemp industry brings in millions of dollars every year. 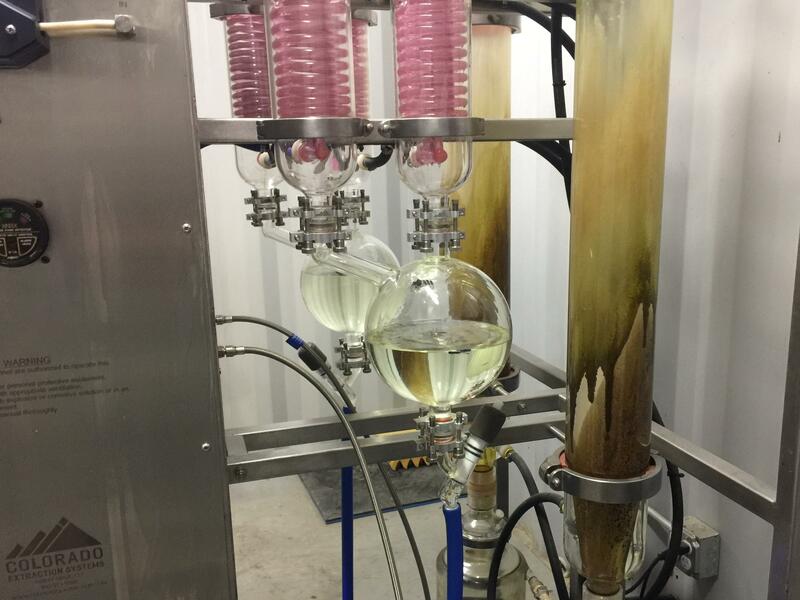 He takes thousands of pounds of pungent, bright green hemp flower, runs it through a machine that looks like something from Willy Wonka’s Chocolate factory and … voila. Cannabidiol (CBD) oil is extracted from the hemp plant. It’s thought to have a range of health benefits, without the psychoactive effects of marijuana. CBD oil has low levels of Tetrahydrocannabinol (THC), which is the chemical that gets users high. So, while users won’t get a buzz, it might relieve their pain and inflammation. The oil is also used to reduce seizures in epilepsy patients. CBD oil can be found in Utah health food stores, but it’s not actually legal in the state — regulators have simply decided not to arrest storeowners or pull supplements from shelves. 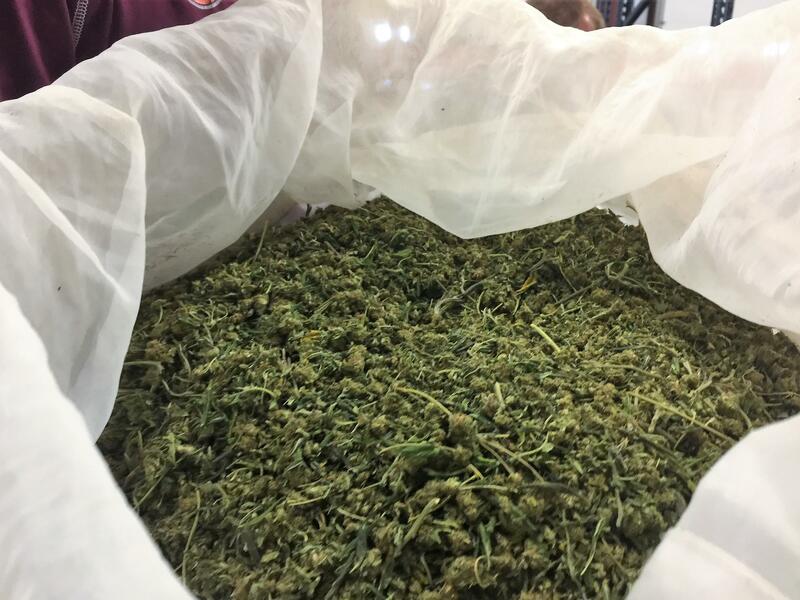 But, a new Utah law has created a process to make it legal moving forward, and lawmakers have tasked the Utah Department of Agriculture and Food with making rules about who can grow and produce it. This has opened the door for people like Schenk to do business in Utah, but it’s going to be several months before the rules are in place. “I’m excited for the day that we can, but I’m frustrated that it’s taken this long,” he said. Schenk was one of dozens of people who attended last month the Agriculture Department’s first public hearing on new cannabis laws. Utah also legalized medical marijuana for some people with terminal illnesses. But Schenk’s not interested in medical or recreational marijuana. He just wants to sell the therapeutic CBD oil. Schenk has spent the last 20 years in another major Utah industry — supplements. So, he sees himself as a natural fit for the hemp market. He’s looking forward to the day he can work in Utah. 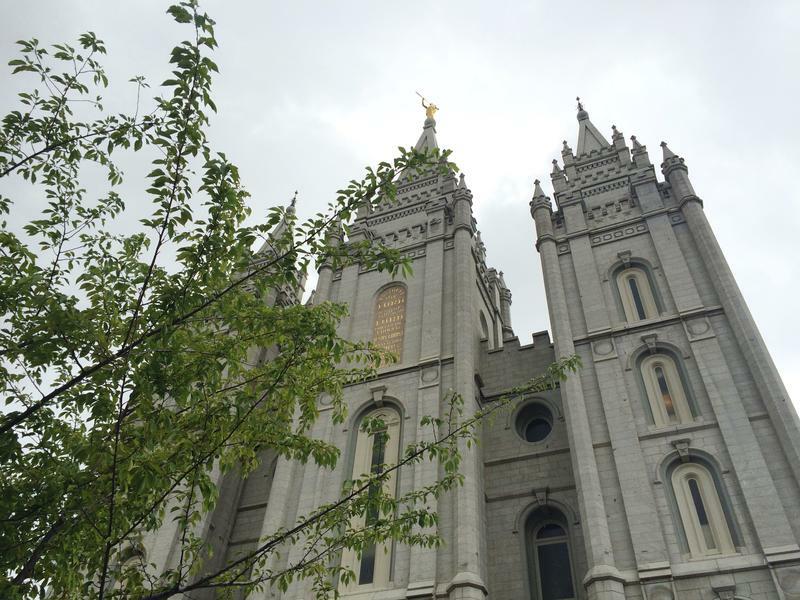 Schenk is worried that Utah's conservative posture will make it tough for him to do business back there. In Colorado, rule makers now have a clear understanding of the process, he said. CBD oil can’t have more than 0.3 percent THC. Marijuana usually has more than 20 percent. Schenk said the THC in CBD oil fluctuates during production, sometimes jumping past the 0.3 percent threshold. He’s afraid Utah regulators will destroy his product if it peaks too high during production, even if he can guarantee it won’t leave his operation above the legal limit. “Overregulation will cause the price to be so high that people that are suffering from epilepsy won’t be able to afford it,” he said. 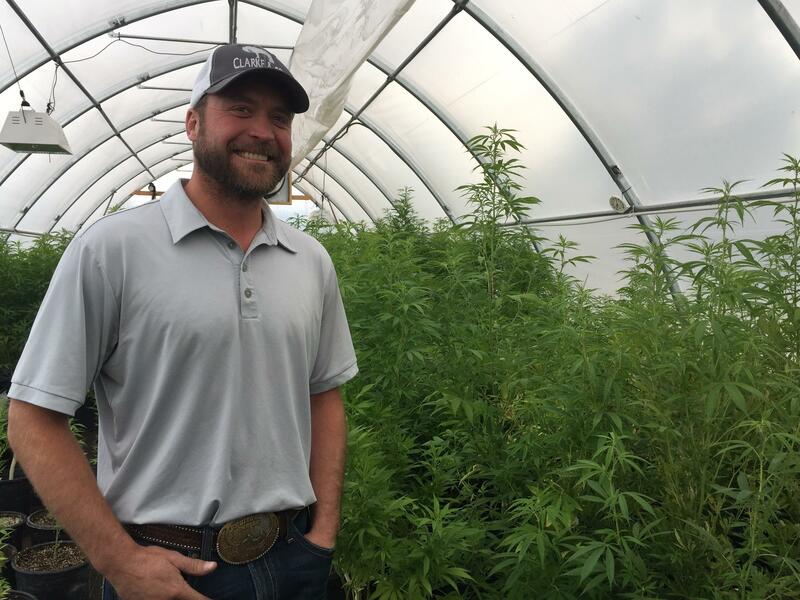 Schenk is already lining up farmers in Utah who want to grow hemp. But for right now, he gets his hemp down the road from Colorado farmers like Wacey Clarke. 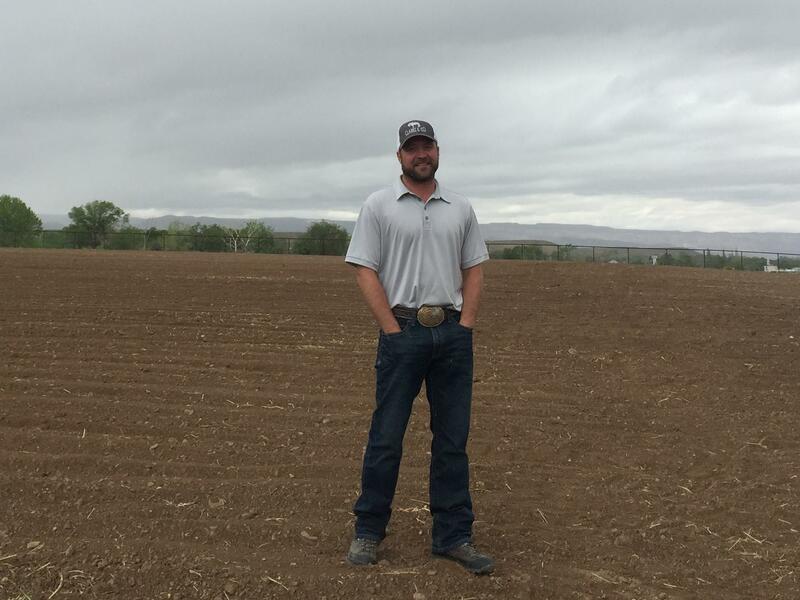 Wacey Clarke said he's excited to help Utah farmers get the best crop possible. Clarke looks like country music royalty with his cowboy boots, beaming white smile and a tightly groomed beard and mustache combo. Inside a large greenhouse Clarke is growing a crop of hemp, but his intent is not to vegetate or flower the plants, he said. “It’s built just for the health of the mother. So we’re trying to grow bigger, stronger plants,” Clarke said. Clarke comes from a long line of Colorado farmers. But he’s the first to grow hemp, which he’ll plant across 110 acres this spring. Planting won't start for another few weeks. But the greenhouse is filled with plants. One of Clarke's workers is handling them with delicate precision. Most of the work is done by hand. Growing hemp is more complicated than throwing seeds in the ground. Clarke said the biggest risk he faces is maintaining the legal THC Limit. If the plants are above it, the state makes him destroy the crop, which often happens. He warns Utah farmers it also takes time to turn a profit. Wacey Clark just a few weeks before planting seed on his farm in Grand Junction, Colorado. Hemp isn’t just an exciting business prospect for Utah farmers. For some, it’s hope that family farms in the state can survive. Ryan Morgan left his family farm in Morgan, Utah to go into financial planning. But he’s hoping hemp will be profitable enough for him to commit to the family business. It's harder and harder to grow something and make a living and support a family. That's why I'm not farming full time. — Ryan Morgan, a Utah farmer who wants to grow hemp. His family grows alfalfa, corn, potatoes and barley. Morgan would like to set aside a few acres of that land to grow hemp. But he’s worried that the Agriculture Department will go with big, corporate growers instead of family farmers like himself. “I hope that the Department of Ag will see that small-time farmers, if given the opportunity, have a great knowledge and expertise to use to really benefit the industry and continue to make the land productive and do what they love to do,” Morgan said. The rules put in place by the Agriculture Department will ultimately determine if Morgan can grow and when he can get started. And right now, Utah farmers have already missed their chance to start growing this season. It will be the hemp grower’s first lesson in patience. Primary Children’s Hospital in Salt Lake City is on the verge of becoming one of a few sites in the country to study the effectiveness of cannabis based product intended to treat epilepsy in children.